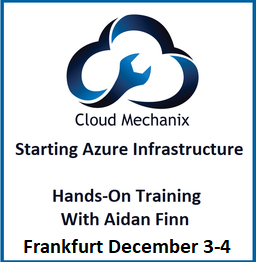 Virtualisation Academy is a series of events that System Dynamics (my employers) and Microsoft Ireland will be running in the coming months. The first session is called “Private Cloud Academy”, focusing on cloud computing on your premises using Microsoft’s Hyper-V and System Center. As it’s the first event, I’ll warm things up by talking about Hyper-V and what makes it different. In other words: management of an IT infrastructure using System Centre. 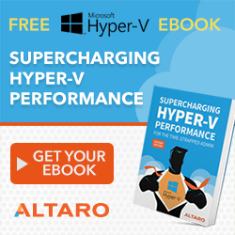 Most people see Hyper-V as virtualisation. I see it as an enabler for a more dynamic computing environment, so I will explain that vision. We’ll move closer to the cloud by discussing System Center Virtual Machine Manager 2008 R2. My focus will be on the library, delegation of roles, and the Self-Service Portal. That was the first real move towards the compute cluster/cloud approach using System Center. Then we’ll move to System Center Virtual Machine Manager Self Service Portal 2.0 (SCVMM SSP 2.0) or Microsoft’s private cloud. I’ll be getting deep on this puppy. I’ll talk requirements, architecture, and so on. The demo will be an A-Z configuration and demonstration of a new business unit self provisioning VM’s in the private cloud. Hopefully I’ll also have the dashboard running tonight (everything else is ready). I’ll be wrapping up with some futures. What’s coming in SCVMM 2012? What’s coming in Azure VM Role? And what can we expect (not confirmed but discussed previously by MS) with the cross-premises cloud. It’s going to be a very full 3 hours. If I get time I’ll try to bring in more stuff like the new Dynamic Datacenter offering from MS. It wasn’t webcasted but a video recording team was there on behalf of MS. Might be put on TechNet Edge.